The third Thor movie, Thor: Ragnarok, is celebrated with this box set of Marvel Minimates based on the film! 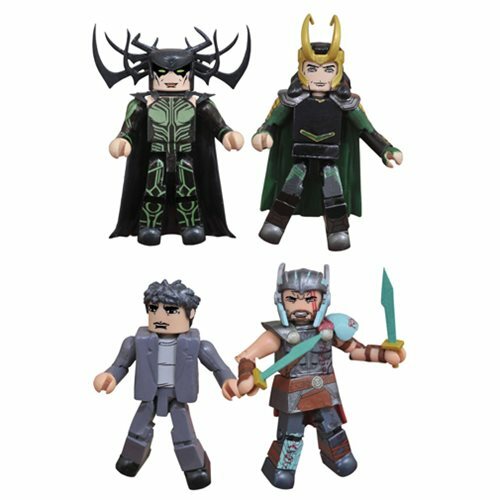 The Marvel Thor Ragnarok Minimates 4-Pack Box Set includes four mini-figures, including Gladiator Thor, villainess Hela, Asgardian Loki and Bruce Banner! Each 2-inch tall Minimates mini-figure features approximately 14 points of articulation and fully interchangeable parts and accessories. Packaged in a full-color window box. Ages 14 and up.